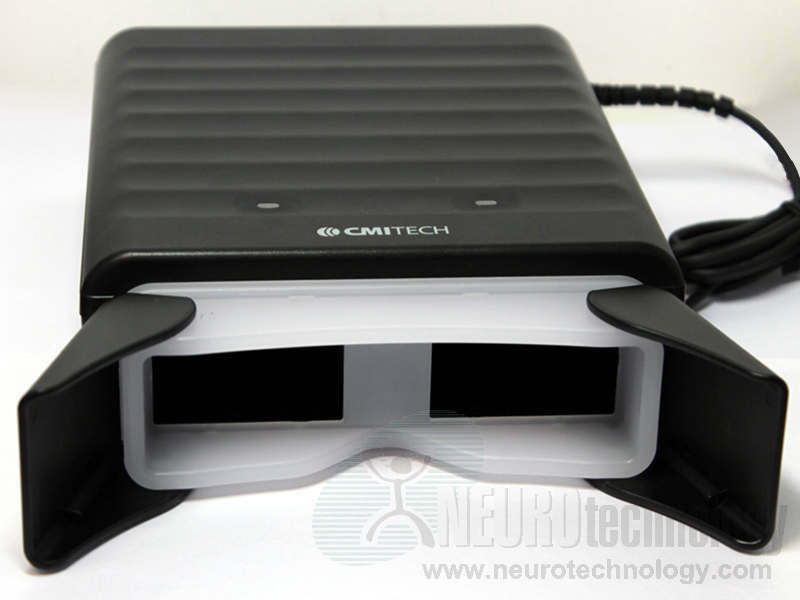 CMITECH BMT-20 is a dual iris capture scanner in binocular form factor. The manufacturer specifies that the scanner is able to capture both irises simultaneously. Also specified wide range of inter-pupillary distance, which allows to enroll both adult and child subjects. The captured iris image quality meets ISO/IEC 19794-6 requirements. The scanner can be operated either by the subject or by operator. There is external color LEDs which provide information on correct positioning. The device has solid, robust design without moving parts. According to the manufacturer, device case is compliant with IP64 protection marking. EMX-30 – dual iris & face capture device.